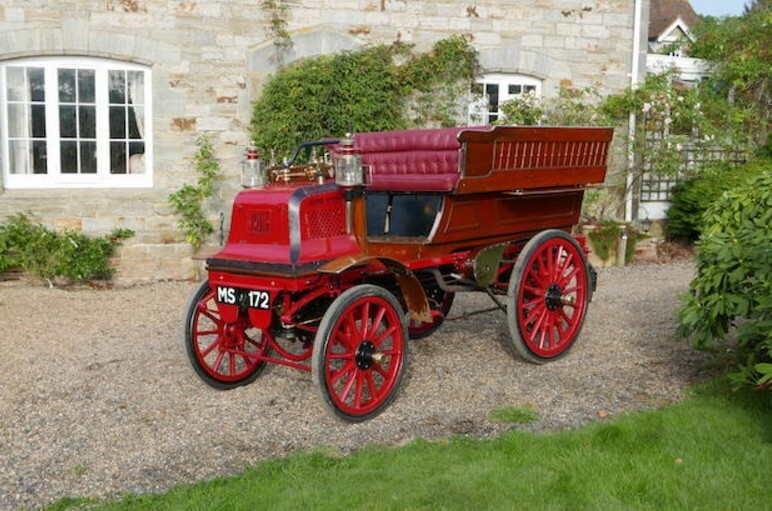 This entry was posted in Uncategorized and tagged 1897, 4hp, auctions, Bonhams, cars, classic cars, daimler, rougemont, twin cylinder, wagonette by classiccarweekly. Bookmark the permalink. Why is the body style called Rougemont? Good question. This particular example of the Daimler Wagonette is the only one I can find where that word is applied. Off the wall guess? “Rouge Mont” translates to “Red Mountain” in French… maybe because this red car is so large that’s just what they called it?